Everybody deserves a holiday to unwind from the hectic schedule, however if a holiday is not planned wisely, can rather be stressful than a relaxing break. When we talk about stress, one of the biggest factors is how to fit all the spending in the set budget. Nevertheless, as the famous saying goes “where there is a will, there is a way”, similarly with the help of credit card, one can save a lot on their holiday. 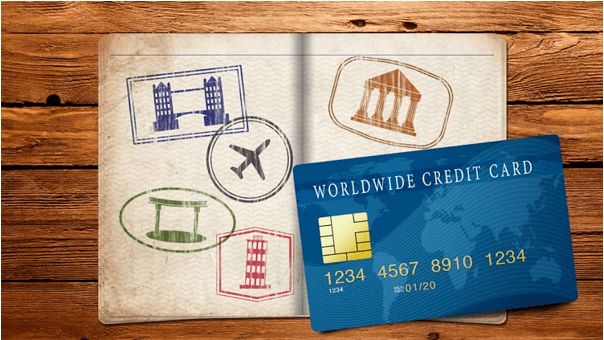 Below are few of the ways, by which credit cards can help you plan your trip at half the cost. Credit rewards to avail discounts – One of the biggest benefits of holding a credit card is to redeem travel statement credit rewards. You can use your credit card to do all the relevant bookings such as boarding and lounging and air tickets. These redemption’s may differ from various cards; however most of the banks cover air tickets and hotels which are their listed vendors. Add maximum value to you trip at half the cost by choosing the best travel miles credit card. Airline related other services – Other than just rebate and discounts on airline tickets and other bookings many credit cards can be used to avail services such as baggage fees, free upgrades and in flight shopping that too free of cost. Credit card points can be teamed up with miles to go to get free of cost return tickets or connecting domestic flights on international travel. Discounts on excess baggage – Ever faced a situation when you overload yourself with shopping and exceed the baggage limit? The excess baggage charges can be very expensive; in such a scenario its best to make use of co-branded credit cards to save money. If you have booked a flight with the credit card then along with your frequent flyer number you can avail discounts and a reduction in excess baggage fees. 2 for 1 deal – Who does not like to get offers such as buy one get one free kind of deals, of course such deals are not commonly advertised, nevertheless if you are looking for something like this then it’s not a bad idea to research about such deals with your credit card especially during off peak travel. You can book a hotel reservation or an air ticket at a handy discount or sometimes even with no extra cost. Terms and conditions for each bank may vary, therefore make use to inquire before wishful thinking. Combat foreign exchange loses – In case of international travel, foreign exchange loss can impact your budget. Therefore make use of credit card which does not charge you a foreign exchange transaction fees. With the help of credit card, you would not end up paying more as the foreign exchange difference will not pile up. Trip cancellation insurance – Unforeseen circumstances can engulf anybody and this can be very distressing both finically as well as emotionally. As far as financial loss is concerned, that can be covered if you have done you’re booking with a credit card which had trip cancellation insurance. In such a case you will be able to ask for a refund even if your air fare was no refundable. Some credit cards have this feature however some credit card charges extra fees for this feature. Primary rental car insurance – If you are renting a car then buying insurance goes without saying. A credit card which already comes with an insurance feature helps you save on your insurance fees. In this case you do not have to buy insurance separately. Make sure to check whether your credit card provides primary or secondary insurance cover. In case of secondary car insurance, you might as well have to top it. Shopping and leisure – Other than tickets and hotels, shopping and leisure activities are very sort after during a holiday. By making use of credit card for making your payment in restaurants and shopping outlet, you can get cash backs and discounts apart from earning regular reward points. If you are a frequent traveler then you immediately need to start looking for the best credit card which would offer you the best discounts on tickets, baggage’s and many other things. So what are you waiting for? Choose the destination, book you tickets, pack your bags and explore the world at half the cost.